If I converted to Buddhism, does that make me Chinese? If I converted to Hinduism, does that make me Indian? When Khazarians (Turks) converted to Judaism…. did that make them Hebrew? 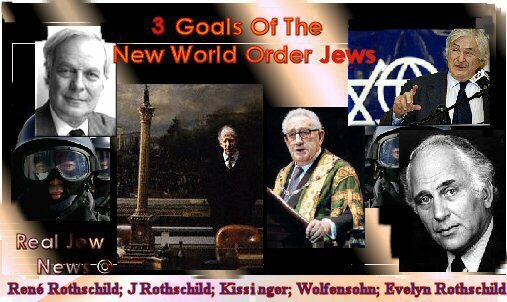 Well, the Jew World Order seems to think so. They wrote the Bible to invent themselves as the chosen ones. They even got Adolf Hitler to legitimize and nationalize themselves by making Israel and moving them there. Jews are not Hebrew. DNA tests prove Jews genetic mix of many different nationalities… ever since they migrated from their homeland Khazaria (Turkey) in 800 BC. Jews were the original Gypsies, that moved from country to country, thieving, murdering and killing children for their rituals to Moloch. Ever since the Jews infiltrated Monarchies and Governments in countries all over the globe hundreds of years ago, they have been using non jews to do their dirty work for them. People need to understand that Hebrews are a race of Negros, Jews have been proven to be just an invention, created by their Satanic Motherland Khazaria / Babylon, now known as Turkey. Why are Khazarian Barbarians ( Jews ) so successful? because they do not have a problem stealing, scamming, using people, drug trafficking, being organized crime lords, killing anyone that gets in their way. Enslaving populations. Invading and plundering countries. 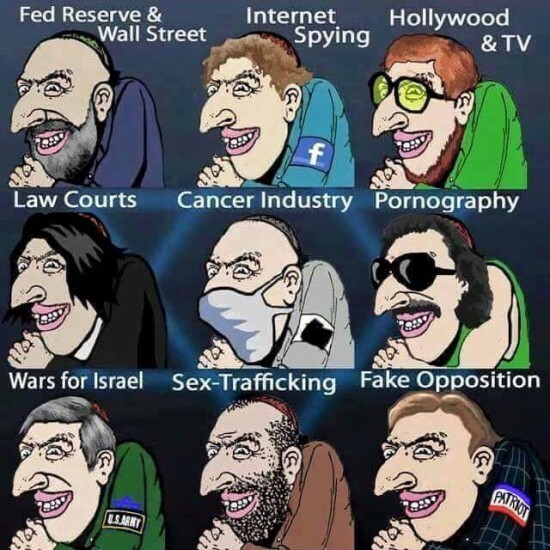 Also jews network and promote other jews. 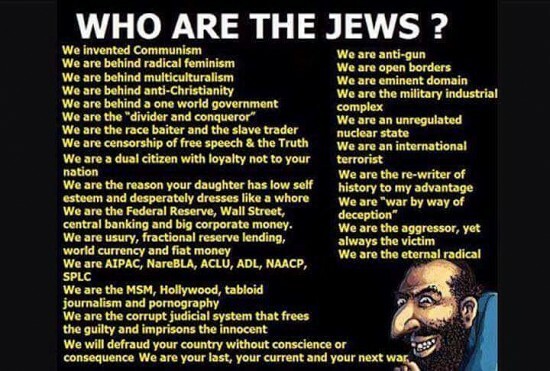 These are the psychos that run our governments and industries and have been invading and killing non jews and genuine Hebrews (negros) all across the globe using proxy regimes (creating Terrorist groups and using Goyim Military) , so they are never blamed for the genocides in every country. 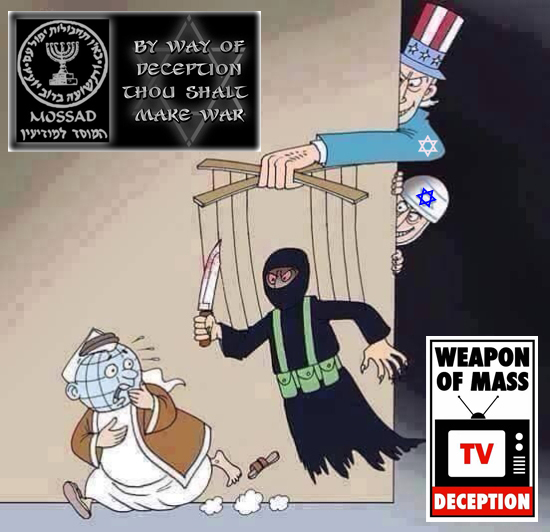 THE PROPAGANDA ARM of the New World Order is the Jewish-controlled major media. 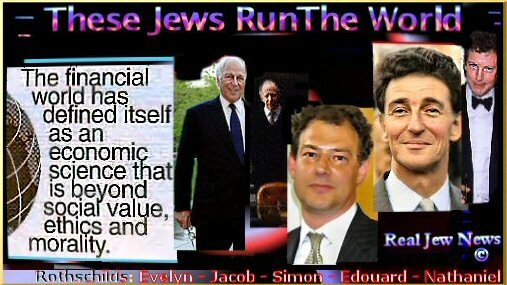 Here is the New World Order Jewish hierarchy: The Rothschild Banking Cartel: Jacob Rothschild is the pope. 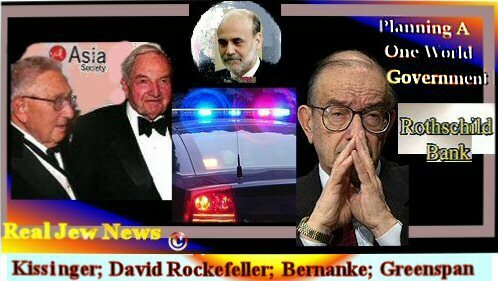 Ben Bernanke (Federal Reserve) and James D. Wolfensohn (World Bank) are the Cardinals. The Council Of Foreign Relations; Trilateral Commission; Bilderberg Group: Henry Kissinger, Alan Greenspan, Richard Perle, and Paul Wolfowitz are the Priests. Time, Newsweek, US News & World Report, Reuters (Rothschilds), The Economist (Rothschilds), CBS, NBC, ABC:Zuckerman of US News & World Report, Redstone (AKA Murray Rothstein of MTV/Viacom), Eisner of ABC, Tisch of CBS, Sarnoff of NBC, Murdoch ofFox News, are the Deacons. A) The invasion of illegals into the US. B) The invasion of Muslims throughout Christian Europe. C) The invasion of alien cultures into the Christian West. A) The dismantling of American Savings & Loan Banks in the 1990s caused by the Fed’s high-interest loans to the US government & forced low interest loans of the S&Ls. C) The dismantling of national banks by the Jewish International Finance Cartel run by the Rothschilds of London & France. A) The eradication of public Christian expression by the Jewish-run & funded ACLU in America through the Jewish-run US legal system. B) The eradication of Christian culture such as in Christian Kosovo wherein the Albanian Muslims of the drug-running KLA declared independence vis-a-vis sanction by the Jewish-run US State Department Here. 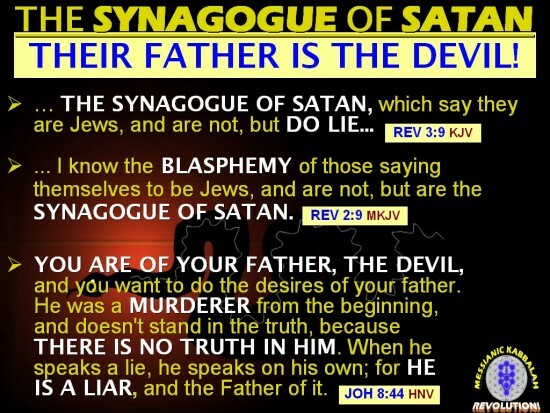 C) The eradication of Christian political activity throughout the Western World vis-a-vis the Jewish lie known as “Separation Of Church & State” used in the Jewish-run American & European Courts. * Rent a spaceship and fly to another planet. * Get on a very slow boat to China. + Pray to the Lord Jesus Christ for a revival of Christianity in historicChristian regions: America – Europe – Balkans & The Middle East! Now the lid is blown off the forbidden, secret powderkeg of the Masonic Jews who run Israel and, by extension, the United States and the world. Unbeknownst to either the Israeli elite or to America’s pro-Israel cabal in Washington, D.C., for over six years I have conducted an intensive investigation of Jewish Masonic influence. Finally, I have released three bombshell videos unmasking my grotesque discoveries in this area, Masonic Lodge Over Jerusalem (Available in VHS or DVD), Thunder Over Zion(Available in VHS or DVD), and Cauldron of Abaddon (Available in VHS orDVD). An essential element in this grandiose plan is the Masonic plot to blow up and destroy Islam’s golden-domed monument now sitting on the Temple Mount in Jerusalem, despised by Orthodox Jewish rabbis and the secularist Masonic Illuminists alike. On the heap of its ruins, the Masons intend to build a Jewish Masonic temple where they and their satanically energized messiah shall worship and pay homage to the Egyptian double-headed eagle deity, Mammon-Ra, the god of money and prosperity (Daniel 11:37-39).The Jews are beset with an unbridled ambition—a consuming desire to acquire global power and establish once and for all their long-delayed Zionist Kingdom on planet earth. The idolatrous image of the double-headed eagle—shown here on the cover of Albert Pike’s classic text,Morals and Dogma—is a much-treasured symbol of Jewish Masons. It represents the Babylonian god of money and forces, Mammon-Ra, as well as the Hegelian dialectical process practiced by the Jewish elite. This same symbol is the “Masonic Jewel” awarded high-level Masons initiated into the 33rd degree. As for Lucifer, the alternate name for the Devil, the former Sovereign Grand Commander frankly admits that he, Lucifer, is a good angel, and a divine god worthy of our esteemed worship.“Doubt it not!,” Pike commands. When we survey the traditions of the Masonic sect, we see sorcery and witchcraft in abundance. We view their unmitigated worship of Mammon, their god. We also see how the Masonic Lodge is pleased to welcome in its ranks not only Jews but Gentiles, even apostate Moslems, Buddhists, and men of every religion…and no religion. Yet, Jews remain “first among equals,” to use George Orwell’s phrase from Animal Farm. They are the “Princes of Masonry” (Morals & Dogma, p. 819). In his remarks graveside at the funeral service in Israel for the assassinated Israeli Prime Minister Rabin, President Bill Clinton, wearing a Jewish yarmulke, a skull cap, referred to the slain Rabin as “Our elder brother.” Of course, he was referring to the Brotherhood of the Lodge. Jordan’s King Abdullah II gives his “brother, ” then Israeli Prime Minister Ehud Barak, a Masonic handshake at their meeting in Amman, Jordan, in August, 2000. King Hussein, a Moslem, was also present to honor his fallen Masonic elder brother. Later, shortly after the death of this same Jordanian King Hussein, Israeli Prime Minister Ehud Barak traveled to Amman, Jordan, where he met with Hussein’s successor, King Abdullah II. An Associated Press photo of Barak and the King clearly shows a Masonic handshake being exchanged. The rise of Masons to political power in Israel dates back to 1948 and to Israel’s founding as a modern-day nation. David Ben-Gurion, its first Prime Minister, was both a Mason and an avowed Marxist-Leninist and Communist. Since that time, every single Prime Minister has been a high-level Mason, including Golda Meier, who was a member of the women’s organization, the Co-Masons. The Bnai B’rith Lodge of New York is affiliated with Israel’s lodges and so is the hate-mongering ADL and ACLU, not to mention almost every top investment magnate on Wall Street in New York. Truly, the Holy Bible is proven true in its prophecy of great “merchants” who, in the last days, deceive the world through their commercial trade and their sorcery. In my video, Masonic Lodge Over Jerusalem, I reveal the secret rituals conducted by Jewish Masons deep in a cave under the city of Jerusalem. 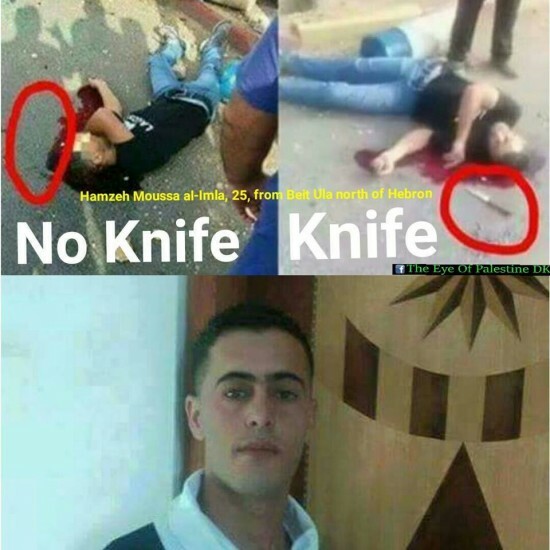 I also expose the sordid plot of these men to utterly destroy and remove from the Temple mount both the Islamic Mosque of Omar and the Golden-domed structure known as the “Dome of the Rock.” These two Islamic religious edifices will be brought down by Israeli defense forces—by missiles, sapper bombs, laser bursts, or other means. 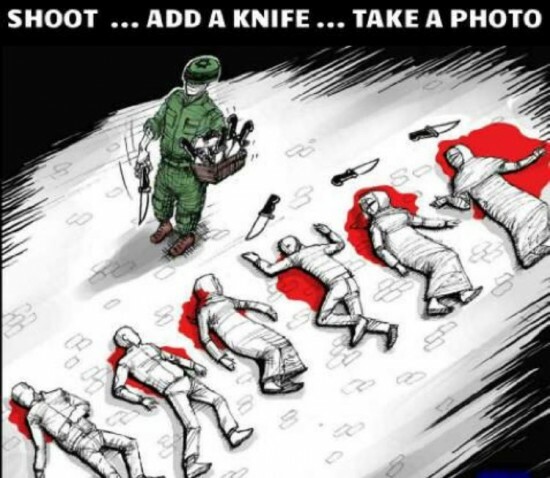 Naturally, this atrocity will be done in the chaotic midst of an ongoing war, and the disaster will be scandalously blamed on the Arabs. It will be said that an errant Arab missile or bomb is responsible. Through its golden portals shall pass the New Zionist Messiah, King of Planet Earth. Before its evil altar he shall announce to all the world, via television, that their Universal Savior has finally come, a man knowledgeable of “the Holy Kabbalah, the exclusive heritage of the people of Israel” (Morals & Dogma, page 839).